Patriotic elements of Tamil Nadu, steadfast on the same cause – a renascent state – rallying round a sole leader – Rajini – and marching together in formidable numbers, have a land of their making to win. What is that pearl of great attraction? A Tamil Nadu, christened anew with toil and tears, unity and vision. A million strong devoted to righteous governance can be a force even to treble and to quintuple in no time. Rajini may provide an inimitable leadership and draw many sections into his fold. An attractive corpus of ideas and values would then become a monolith to the voting multitude. The tip of the iceberg is no longer hidden. A two-year frame can reveal it in full. Within two days of Rajini’s announcement, the air is rife with positive responses, winning signals and alarmist reactions. They vary with each of the concerned group’s perception of their fortunes for well or for ill. At the best end of the spectrum are the altruistic who have yearned for a dramatic change from the Dravidian tangle, for no less than half a century. At the unseemly end are the self-serving, money-seeking who are alarmed at losing their fortunes if the Dravidian parties are defeated by Rajini. In the forefront with mortal fear, shrouded in words of bravado are two political formations professing Dravidian credentials. They were never ever supported by the Dravidian states: Andhra, Karnataka and Kerala. They had the support of only one Tamil State ie Tamil Nadu. DMK and AIADMK, obverse and reverse of the same coin were Tamil parties. I will treat them as one. The name Dravidian was a misnomer. It was used to camouflage the Dravidian delusion. If ever the party expected to evolve into Dravidian acceptance it never happened. The time is now for it to embrace Tamilian credentials and to pride over such a name. In a full sixty years Dravidianism has run its course and lost steam and traction. It shared its propensity for misrule and pillage, till the people repulsed at the very mention of the party names, which signified only cheat. The names had become a synonym for limitless corruption. No need to mention the areas of corruption or to list out the incredible amounts swindled in multiple ways.. All the degenerate Tamils contributing to the destruction of the state know it. Two millenia back Cato the Roman Senator used to conclude his speech in the Senate with the words “carthago delenda est” – “Carthage must be destroyed”-. For decades now, “Dravidian delenda est – Dravidian must be destroyed” had become the watchword of patriotic Tamils. “Before you practice virtue make wealth”, so said Plato. Not by precept but by chance, this has happened to Rajini. In the true spirit of Karnan in Mahabharatha, he has set out to repay his debt to Tamil Nadu and the Tamils. At a moment when Tamil Nadu was getting asphyxiated, Rajini has appeared as a life saver. He is not a minute late. Why did he meditate on his decision for so long? many have asked. Thiruvalluvar said “Those who await the appropriate moment, have a world to win”. Hence the massive welcome and blessings being showered on him. The mis-appropriators fear loss of power and in consequence expropriation of their ill-gotten hoard. Hence their shiver manifesting in incoherent remarks at Rajini. Groups of little consequence have perceived their inevitable demise with loss of their vested base. Their reaction is therefore adverse and can be understood as such. The entry speech of Rajini, delivered with no oratorical flourishes but straight from the heart and spoken with patent honesty, has gone well with the people. In the last three days he has set about his tasks with circumspection. In a state saturated with electronic facilities and overloaded with youth vote, he has opted for all the modern means of communication. On day one itself a web was created and address conveyed. Day 2 said 3 lakh registrations on the first day. Fair weather friends from waning parties sent soundings. They were rejected without meditation. Piggy backers found no back to perch on. A good beginning! Tamil Nadu credited with several firsts and possessed of every attribute for growth and success, needs only honest leadership. Tamil Nadu is getting it now. In the nineteenth century, India got Annie Besant for political leadership. 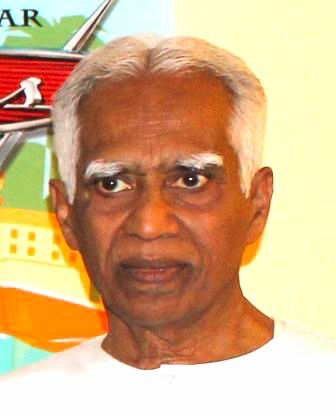 Tamils were privileged to have Dr. GU Pope, Fr. Beschi and Bishop Caldwell for Tamil studies and research. The great personal contribution of British Engineer Pennycuick to building Mullaiperiyar Dam, no Tamil has forgotten. For spirituality Tamils had the privilege of hosting Swami Aurobindo and Mother in Puthuchcheri. For social work there came Mother Theresa from Albania. Such has been the rich tradition of Tamil Nadu and of India. It cannot be broken because some choose obscurity for themselves. Let continuity be the hallmark of Tamil culture. In the forties and fifties, Tamil Nadu was poor. The next two decades saw the people with viable incomes. The following twenty years saw the citizens as well to do. The current century has seen shades of affluence. This is the trajectory of growth and nothing wrong or bad about it. But the so-called elites had lost their moorings. The political leadership having power to wield with ladle in hand served itself. Generational income growth and requisite education to mellow the upstarts failed to grow apace. The lack of an ethical ballast upset the social balance. Wealth accumulated and society decayed. Craving for a new order with a fresh equilibrium is now a dire essential. Greed cannot be curbed by laws and policing alone. Hence a sharper approach at spiritualizing politics. Set about with honesty and purpose the attempt can succeed if power can be in right hands. To channel the march of power in the correct direction, Rajini seems to have set his hand to the plough. 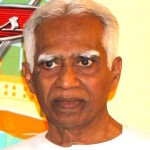 Helping him not to turn back is the obligation of all Tamils. « What If The UNP Wins?